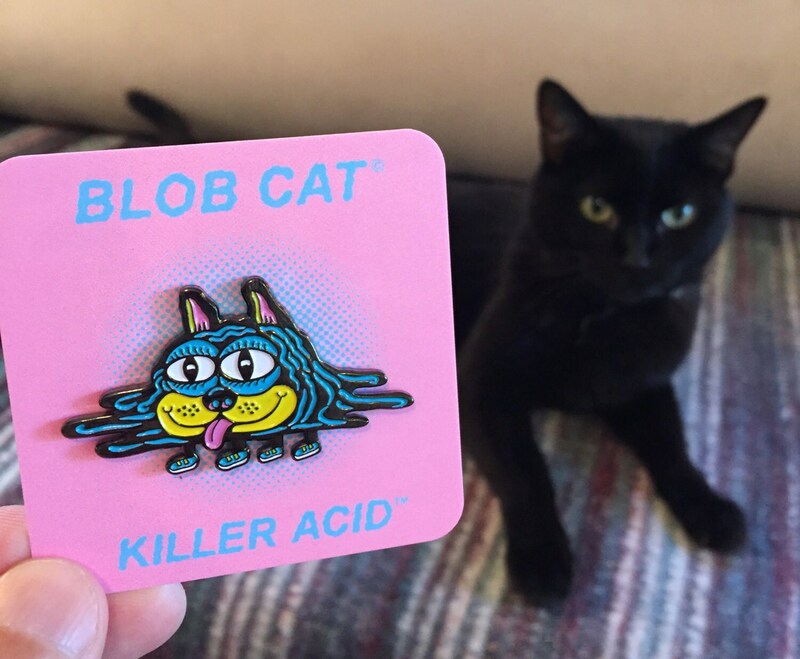 Blob Cat enamel pin by Killer Acid, edition of 250. 2" wide. Brushed Nickel surface for a glossy look. Double rubber clasp. Sneaky cat. Double posts are nice and sturdy. 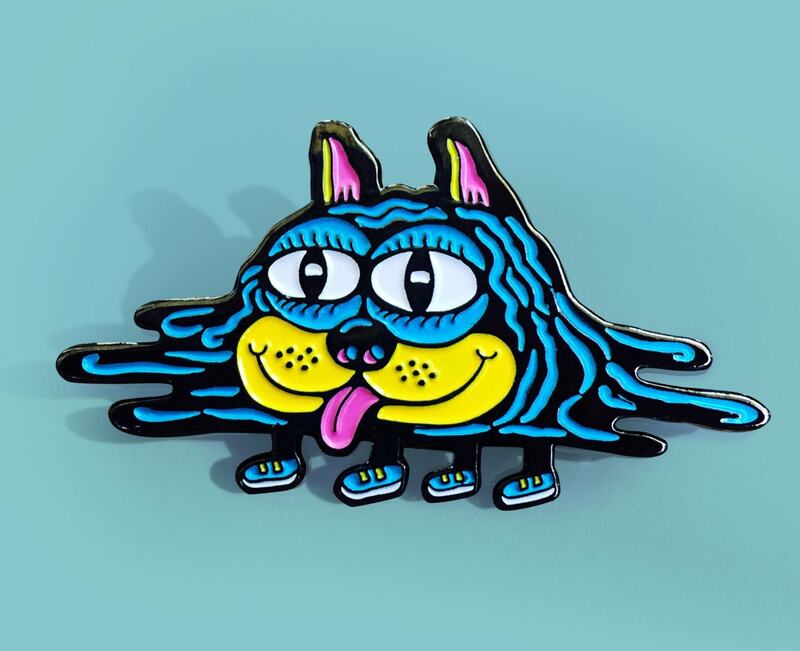 Such a wonderful design and great quality!